1. 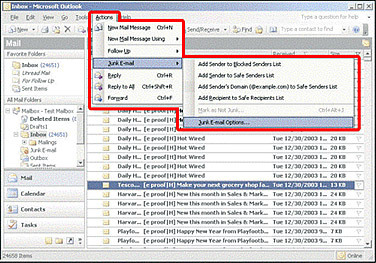 From Inbox, click "Actions", then click "Junk E-mail", and click "Junk E-mail Options". 2. 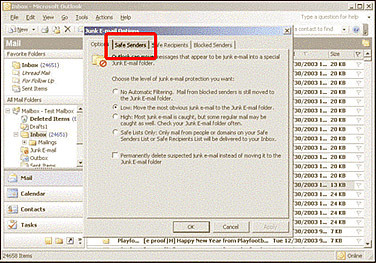 Click "Safe Senders" tab. 3. Enter Cash Cabin’s email address such as talk@bingocabin.com and talk@nxr1.com into the block area and click “OK”. 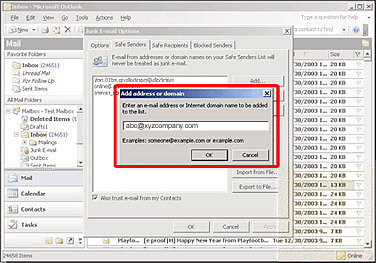 Click "Apply" then "Ok" in the "Safe Senders" tab.